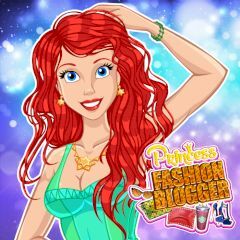 Ariel always wanted to become a fashion blogger, so everything she needs is fashion clothes and cameras. Let's start with basic fashion things and create amazing look for her. Take care of clothes, accessories and haircut. After this take pictures on camera and tablet. You need to post them to social media and get likes.